In this section you can find both official and unofficial patches made for Trespasser during the years. “Trespasser CE Patch” is the latest one, adding support for modern OS and other various fixes and functions. It also include most of the function from the ATX patch. Improves graphics, adds new cheats and functions. The latest version is 2.13. Updated archive to include the latest executable. No need to download them separately. Source can be found at the ATX webpage. This file contains updated .SCN and .GRF files for the levels from the Build 55 release of Trespasser, to make them compatible with GeomAdd, TresEd and the retail Trespasser engine and its mods (ATX, CE, etc.). After having copied the Build 55 level files and TPA files into a fresh retail (or demo) install of Trespasser, and having used fixOcclusion with the Build .pid files and TPAupdate with the Build 55 .tpa files, replace the original Build 55 .grf and .scn files with the ones contained inside this archive. It's recommended that you make a backup first, anyway. This file contains updated .SCN and .GRF files for the levels from the Build 22 release (E3 demo) of Trespasser, to make them compatible with GeomAdd, TresEd and the retail Trespasser engine and its mods (ATX, CE, etc.). After having copied the E3 level files and TPA files into a fresh retail (or demo) install of Trespasser, and having used pidRewrite with the E3 .pid files and TPAupdate with the E3 .tpa files, replace the original E3 .grf and .scn files with the ones contained inside this archive. It's recommended that you make a backup first, anyway. NOTE: Unfortunately, due to some differences in the format used for bump maps, neither the TestScene level nor the Industrial Jungle level will load properly in th retail version of Trespasser or its mods. This file contains updated .SCN and .GRF files for the levels from the Build 32 release (PC Gamer demo) of Trespasser, to make them compatible with GeomAdd, TresEd and the retail Trespasser engine and its mods (ATX, CE, etc.). After having copied the PC Gamer level files and TPA files into a fresh retail (or demo) install of Trespasser, and having used pidRewrite with the PC Gamer .pid files and TPAupdate with the PC Gamer .tpa files, replace the original PC Gamer .grf and .scn files with the ones contained inside this archive. It's recommended that you make a backup first, anyway. Unofficial Trespasser patch adding support for Direct X 9 and modern OS. Also includes various bug fixes and other extended features. This patch will update your game to v1.1 (117). This update only includes update for the Trespasser executable. This patch will update your game to v1.1 (117). This update includes update for the Trespasser executable and level files. Note: This patch will add a registry entry to the registry and a folder to your Trespasser installation. The registry entry is made to the game will know where to look for the patched level files. If you're modding Trespasser, this can become a problem since the game will load the files in the patch folder first. The changes to the levels are minor, and be found HERE. If you want the updated level files without the folder, download the "Trespasser Patch v1.1 Level Fix" instead, and replace the level files in your TresCD/data folder (after doing a hard-drive installation). This only contain the Big Patch level fixes. Can be used with the v1.1 (117) Executable Patch to avoid getting the patch folder. Make a hard-drive installation first. Inserts a quickload button to the menu. Thank you for keeping this game alive! I remember when it came out as a kid and it was fantastic! brings back old memories! Do the new patches allow game play on new systems without rapid acceleration? Hi, Joshua. If you’re referring to 3d cards (hardware acceleration), the patches will work just fine with or without. I recommend Big Red’s atx patch as it adds new cheats and you can up screen resolution and quality. Thank you so much for making this game come back alive! 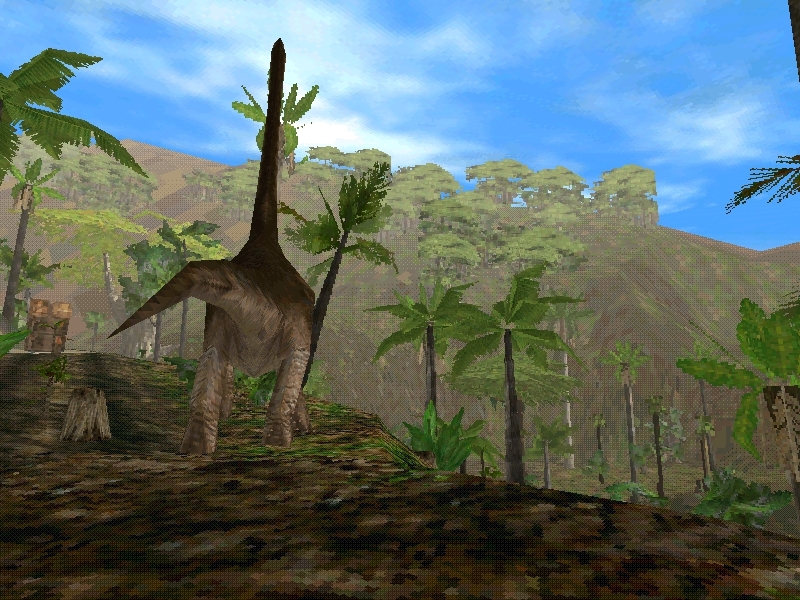 This is the best open roaming Jurassic Park game to date and nothing has surpassed this! Thank you so much for this site, I LOVE IT! How do I get the atx installed? I have a question, which patch is better? The ATX patch or the trespasser CE? Which one is newer? Thanks! Hello? Which patch is better, ATX or Trespasser CE? I think that Trespasser CE is newer than ATX if I am not mistaken. Thanks Paul! Jeez, I can’t believe it has been exactly a year since I have played this game. Time to delve into Jurassic Park Trespasser like never before. this is a bit overwhelming i’ve never played this game yet….Although I have windows vista and the older ATX seems to say it is not compatible? oh forgot, also do I need to install that 1.1 patch or any other sort of patch before I put CE/ATX on my game? Justin: No, the 1.1 patch is not required for either ATX or CE. You can even use all three (all uses their own exe that doesn’t overwrite each other). I have been trying to get this to work well all day. When I installed the game it launched in like 640 x 480. When I clicked the video options button it would crash. So I installed the Trespasser mod and I could click video. It would go black for about a second then give me a fatal error. Does someone know how to fix this? Michael: What patch are you trying to install? Anyone recognize this problem: On my Windows 10 machine, when I run Trespasser CE at 1024×768, medium texture res., in-game “quality” slider at 25%, the first/brachiosaur level is fine, but when the second level loads (plains/raptors attacking triceratops), nothing is skinned correctly and all shapes are a solid red color. I tried every res. setting combo and disabled dither and page manager. Any thoughts? Thank you! can someone tell me why i get 30 fps while using the update for 1090 reserlution on a new pc? Hi satanshund, sorry for late respond. Which patch are you using? The engine is old and without rewriting it you will still get lower FPS even on modern systems, as the engine was also written for older systems. I would recommend to register at our forum (link on left or right further up) to get help with that. It is difficult to point out what the issue could be. You could test the “Trespasser CE Patch” patch and see if it helps.